Cherry Blossom Season Special Plan! If you want to become a 2-day and one-night rental program, you only need an additional purchase price. 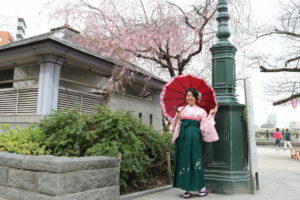 If the height of the female is more than 168 cm or man is more than 175 cm,we suggest to wear larger size of Kimono to be more suitable though it cost 1000~2000 yen additionally. 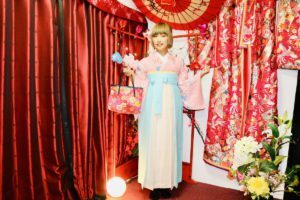 ☆Contents: Kimono rental + simple hair design+ belt+ bag+ wooden shoe . Also,we provide other splendid hair styling which is 1500 yen originally, but you will get 500 yen discount on this.